What do enormous dinosaurs have in common with tiny shrews? They are both four-legged vertebrates, otherwise known as tetrapods. In the course of evolution, tetrapods developed various body shapes and sizes – from the mouse to the dinosaur – to adapt to different environments. Their feeding habits range from pure herbivory to fierce carnivory, and their body structure reflects this feeding diversity. As plants are usually more difficult to digest than meat, herbivores are thought to need larger guts and more voluminous bellies. Nevertheless, this hypothesis had never been tested scientifically. 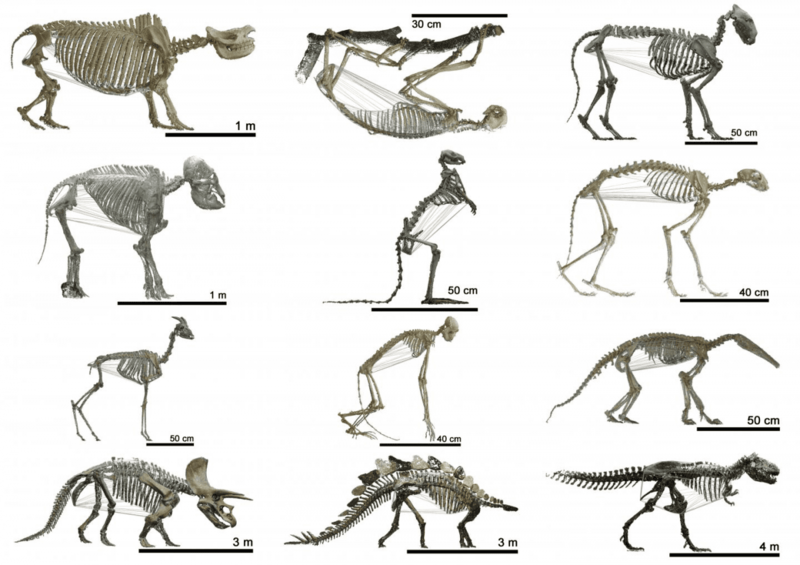 A European team of researchers headed by the University of Zurich and the Technical University Berlin has now studied the shape of the ribcage in more than 120 tetrapods – from prehistoric times up to the present day. 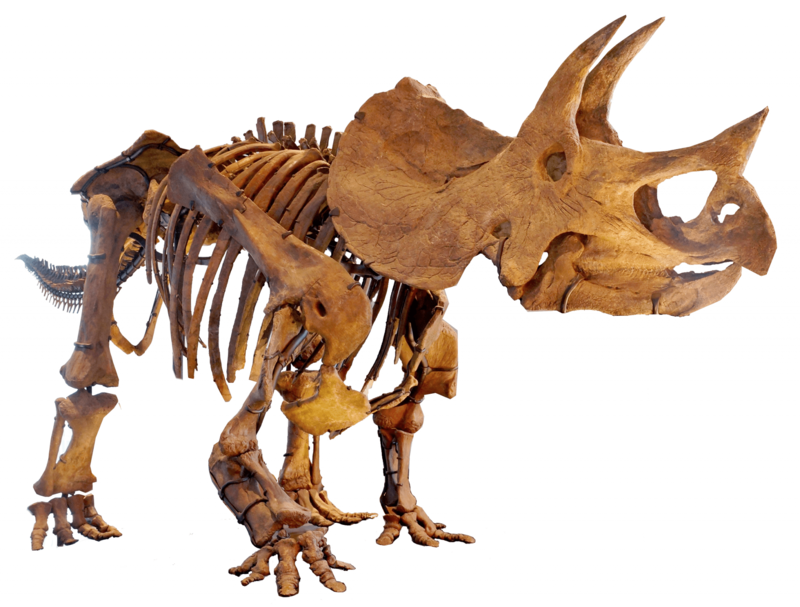 With the aid of photogrammetry and computer imaging techniques, the scientists produced a 3D database for skeletons of dinosaurs, reptiles, birds, mammals and fossil synapsids (mammal-like reptiles). Using the computer-based visual evaluation of this data, they reconstructed the volume of the body cavity, which is delineated by the spinal column, the ribcage and the pelvis. The result: On average, herbivorous mammals have a body cavity that is twice as big as carnivores of a similar body size. “This is clear evidence that plant-eating mammals actually have larger guts,” explains Marcus Clauss, a professor of comparative digestive physiology in wild animals at UZH. Far more surprising, however, is the fact that this pattern is not evident among the remaining tetrapods. “We were amazed that there wasn’t even the slightest indication of a difference between herbivores and carnivores in dinosaurs,” explains the first author. Numerous fossilized species were examined in the study – from the earliest amphibians to the largest herbivorous dinosaurs and mammoths. On the one hand, the results can indicate that it is difficult to reconstruct dinosaur skeletons reliably. “On the other hand,” explains Clauss, “the discovery reveals that there’s a fundamental difference in morphological principles between mammals and other tetrapods.” For instance, the scientist suspects that a different respiratory system might be responsible for the divergent effect of the diet on the body structure in mammals and dinosaurs.